If God is all around us, why do Christians go to church on Sunday? Really, why do we go to church? We all have acquaintances and even relatives who do not understand why we should go to church. Their faces reflect not only misunderstanding but sometimes surprise. Sometimes it is expressed in the words: “Well, well, you have faith, that is ok. But why you go to church, waste your time and efforts?! For example, I am also a believer, but I believe in the inner God in my soul, and I do not need any external rituals.” How to explain why we go to church for such skeptical people? What does Bible say why do Christians go to Church on Sunday? Those who say they do not need the Church do not consider the word of the Gospel as authority. Come on, let’s see. In Genesis 1:1-2 “In the beginning, God created the heaven and the Earth.” And the earth was without form, and void; and darkness was upon the face of the deep. And the Spirit of God moved upon the face of the waters. This tells us that God was and is every where. So why do we have churches? Text: from 5312; an elevated place or thing, i.e. (abstractly) altitude, or (by implication) a barrier (figuratively): — height, high thing. The temple was the focal point of the city. It was the place for education as seen in Matthew 21:23, a place for religious items such as the Ark of the Lord (1 Samuel 3:3) and the Body of Christ (Mark 14:58). Later in the New Testament, the temples were called churches because of the people that gathered, It is translated “assembly” in the ordinary classical sense (Acts 19:32, 39, 41). All the Christians in a particular city, whether they assembled together in one place or in several places for religious worship, were an ecclesia. Thus all the disciples in Antioch, forming several congregations, were one church (Acts 13:1); so also we read of the “church of God at Corinth” (1 Cor. 1:2), “the church at Jerusalem” (Acts 8:1), “the church of Ephesus” (Rev. 2:1), etc. Churches have since then split into smaller groups where people believe the same basic way, thus the different denominations. In a Christian’s life the church is still the focal point of their city. And it still provides education, contains religious items and is still a holy place of worship. It is also used as a meeting place for fellowship. Usually there are different reasons why do Christians go to Church on Sunday. Fellowship is an important aspect of the church. It allows people to meet and enjoy the fellowship of people that do the same things and believe the same way that you do. The first time you went to church, what brought you to that particular church? Did you know some one there? Was it the denomination? Just what was it? My first church was a small church and I was dragged there by my aunt. But I met this dear lady, Katherine Hollowell. At 8 years old she was a sanctified woman of the Lord, and I didn’t even know what that meant until I met her. Mind you I grew up in a Holiness church and they were very strict pertaining to hair and jewelry and the likes. After a few weeks I began to know others there and I really felt I belonged there. I got saved at that church and even got my parents to go and get saved. That church was the center of my youth and God was and is the center of my being. There are people a church that you can talk to when you have a problem or you can just go there to pray. And if you are a single Christian looking for that special some one, a church is a lot better than bars and the produce isle at the market. Love to sing and can’t carry a tune, the choir can help. The church has all the right stuff just for you. Finding a church that you feel the spirit in and feel at home does take time. Pray about the church visit many churches and pray some more. Do you have kids? Does the church have a youth program? Are the youth active in the church itself? But most of all is the church spirit filled. You need to grow in your Christian life and if the church can’t feed you, why go? Churches and temples have been a safe haven for runaway’s and people seeking sanctuary. Notice in 2 Kings 11:10; the temple even had weapons to protect themselves if attacked. I always thought that I would like to be in church when the Lord comes and takes me home. 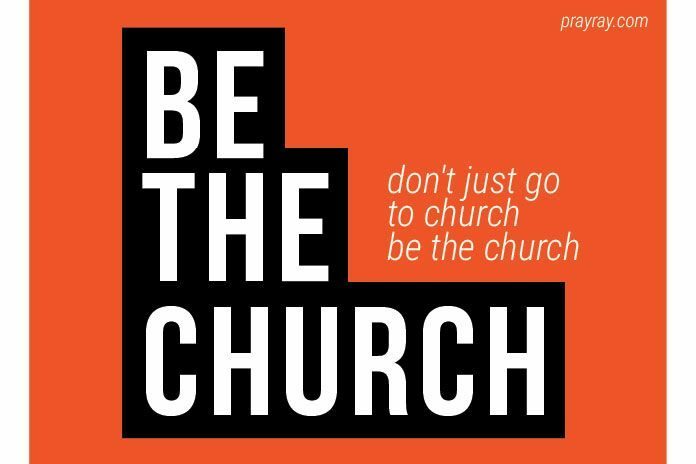 Churches and the likes don’t need to cost millions like some cathedral, it’s not the cost it’s the spirit of the Lord that abides within. If you belong to a very large church, is it as beautiful on the outside as it is with in? Build a church and help it grow don’t watch it. Remember the church is a body of Christians gathered together that believe the same way. The church doesn’t have to be a building per say. It can be a spot in the park, the local school, or even your own home. The Amish hold their meetings in a different home each Sunday. Some times the home owner doesn’t even know they have the meeting that week until the flatbed trailer comes rolling up with the chairs and books. It’s time to clean up the parlor kids. Churches have come a long way since the days of the Old and New Testament. From prairies to backyards to street corners to TV to right here in cyber space. Can you believe were have the capabilities to reach millions of people every day while we sit and type without even a suit or a toupee? But God is here and watches of all of us and you can still feel the spirit here. Hope you find the answer why do Christians go to church on Sunday. So feel the spirit today join us in prayer and worship. Our loving Heavenly Father, we praise you for all have done for us and all you are going to do also. We thank you for your love and patience with us, your children. Fill us with spirit of you love and fill this church with the Holy Spirit so it will grow for your glory. In the Holy name of Jesus AMEN! May the Lord bless you and yours today and until Jesus returns for us. Also read: PRAY WITH FAITH. Faith, how much do you have?